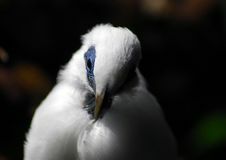 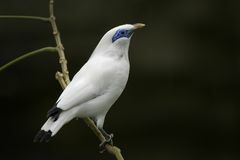 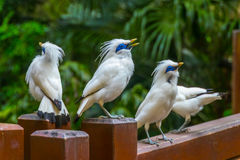 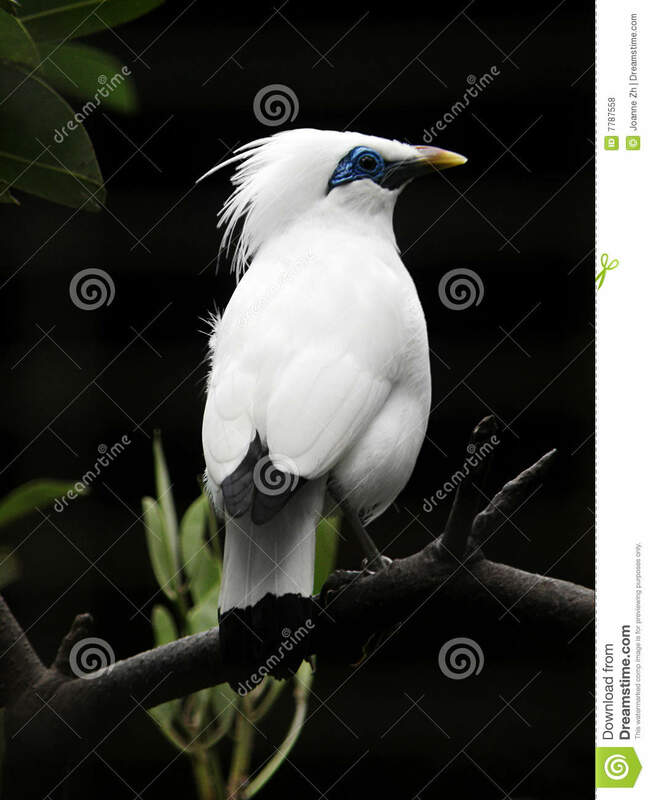 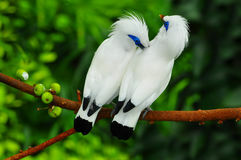 Leucopsar rothschildi - The rare and endangered Bali starling, also known as Rothschild's myna or the Bali Mynah. 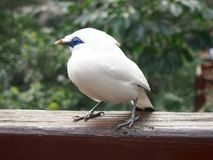 Unusual looking bird with white feathers, black tips on wings and tail, and bright blue eye patch. 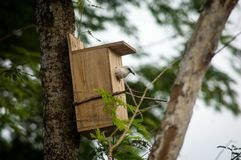 Only about 5 to 8 left in the wild. 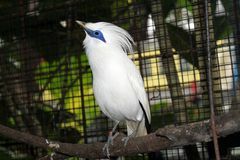 Efforts are made to breed birds in captivity before releasing them into nature reserve. 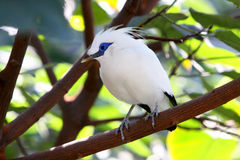 Taken at Bali national bird park. 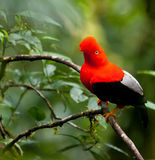 One of the rarest birds in the world. 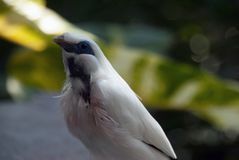 vertical format photo. 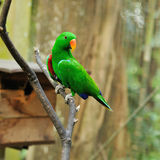 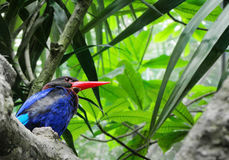 Exotic tropical southeast asian wild life birds species, near extinction in wilderness.